It’s August, and that means it’s back to school month. So what does that mean for YOU? For many of us that means BACK TO THE BASICS of a daily routine. We have new schedules, strict bedtimes, early wake-ups, lunches to pack, homework to check, papers to sign and kids to inspire. 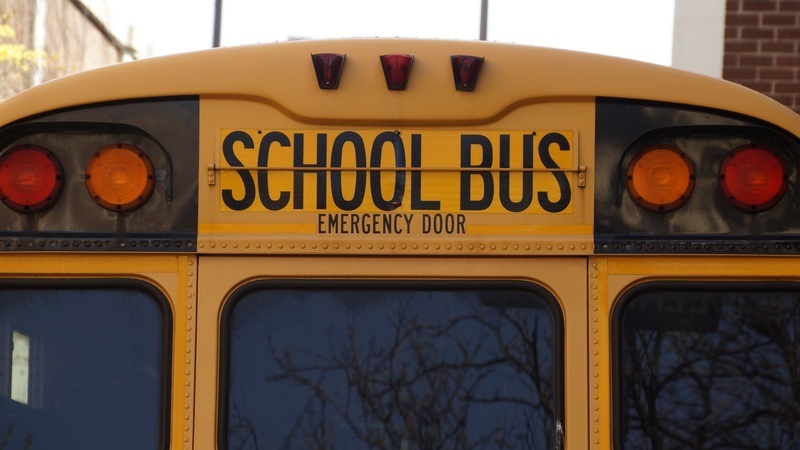 Unfortunately with kids going back to school, it can also mean back to school germs as well. Don’t worry! There are some basic things we can do to help fight the germs and keep our immune systems STRONG and HEALTHY! Believe it or not, our body is full of TRILLIONS (with a TR) of bugs living on and in our bodies! There are good bugs, and there are bad bugs. These microscopic organisms are vital to our overall health, but especially our immune system. It is believed that 60-70% of our immune system is controlled by these bugs in the digestive tract. The truth is that we need these bugs. To learn more about the good and bad bugs, read this article where I tell more about it. For now I know that you want to stay as healthy as you possibly can with the back to school schedule. I believe that you can increase your chances of that while decreasing your risk of getting sick by following these seven recommendations to help strengthen your overall immune system. Increase the foods in your diet that contain the good bugs – The foods I’m speaking of are fermented foods, such as yogurt, keifer and tofu. Just be sure you stay away from the fat free and sugar free varieties of these foods. Sauerkraut is another good fermented food, while Kombucha teas are a great fermented drink that does an excellent job supplying and restoring good bacteria to our bodies. If you don’t eat these foods or are unable to get these foods, then my recommendation would be to make sure you take probiotic supplements instead. Cut the sugar as much as possible – Some of the bad bugs that live within our body, such as yeast, feed on sugar. Make those lunches and after school snacks healthy and cut out the sugar. 024: Are You Making Healthier Snack Food Choices for You and Your Children? Manage the stress – Don’t let the stress of back to school control you. You control it! Take the time each day to destress by walking, running, meditating, yoga, lifting weights, deep breathing, or whatever healthy activity calms you down. Get good sleep – Your body needs rest and time to restore the good bugs in your system. A good night’s sleep can make a world of difference in your immune health. Take your vitamins – The processed foods that we eat also help destroy the good bacteria in our bodies, and they are almost void of the nutrients that our body needs for a healthy immune system. There are many many nutrients found in food that help support our immune system, and when we eat food that doesn’t contain any of these, we compromise our immune system. By taking vitamin and mineral supplements we get the nutrients we need to protect us. The most important one you need, as the fall and winter seasons are soon approaching, is vitamin D, the sunshine vitamin! With busier shorter days and less opportunities to get out in the sun, supplementation with vitamin D can be very helpful. Do not neglect exercise – I know with the business of school routines, our exercise routine is one of the first things to go. Recent studies show that people who exercise regularly are less likely to catch a cold. This falls in line with other studies that show regular exercise greatly increases immune system health! Support your thymus gland – The Thymus gland is a small gland that sits in the top of your chest wall and is the master gland of the immune system. This gland produces T-cells that fight off invaders in our body, especially viruses. The six previous steps can help support the thymus gland, but there are also thymus supplements available that can give you that extra immune system boost during the winter months. Why use a supplement to support the immune system? Because the right ingredients can work with the body’s own immune response. A good supplement can give your immune system a boost when it needs it the most. Why use ThymuPlex™? 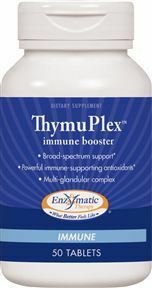 It provides broad-spectrum, intensive support for your immune system: ThymuPlex™contains vitamins, minerals, glandular and herbs (including Echinacea) essential for your immune system, white blood cell functions, and thymus gland activity. It provides thymus gland extract “predigested” that is already broken down for use by the body. It also includes these glandular ingredients: spleen extract and lymphatic extract and enzymes: trypsin, papain and bromelain for protein digestion. Probiotic supplements contain good bacteria that are vital for proper functioning of our immune and digestive systems. These good bacteria also known as “normal flora” promote a healthy digestive system and reduce the growth of harmful bacteria in our bodies. Whenever we take antibiotics, anti-inflammatories and numerous other medications both prescription and over-the-counter we are unknowingly destroying our good bacteria. Stress and processed foods can also be detrimental to the population of good bacteria in our bodies. It is important that we replace these good bugs and the best way to do that is with a good broad-spectrum probiotic supplement. 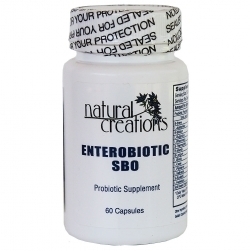 Enterobiotic from Natural Creations is one of my favorites. Both Enterobiotic and ThymuPlex™ are are available through our website. Order today and save 15% by using code “special15” during the month of August. Your best defense against today’s (and tomorrow’s) global health threats is a strong immune system! I recently spoke at the Immune Defense Summit, and you can still benefit from the 36 amazing experts (including your very own Dr. Phil) teaching you the best strategies to rejuvenate your immune system and neutralize the threat of superbugs, pandemics, viruses and other chronic infections! Gain the best strategies to rejuvenate your immune system and neutralize the threat of superbugs, pandemics, viruses and chronic diseases. Click here for more information. You can also check out these other back to the basics blog posts and podcasts on the website that will hep you get back in the school routine. OH Nooo!! Not Head Lice!! Why Do We Make Our Children Drink Something That Can Make Them Sick? 013: What’s Yeast Overgrowth Got to Do with ADD/ADHD? 014:What’s Mitochondrial Dysfunction Got to Do with ADD/ADHD? 024: Are You Making Healthier Snack Food Choices for You and Your Children? Some fad diets will ask you to change your entire lifestyle, completely cut out specific food groups, and adhere to strict regulations in order to be successful. The truth is there are certain foods and toxic ingredients that you should stay away from, but to consistently eat a healthy and balanced diet, you probably don’t have to change as much of your menu as you think. Making smart and strategic choices is what counts. You can easily build your own DIY Diet once you have the right information. In my book, How to Live Until You Die, I explain how to recognize dangerous foods filled with harmful ingredients, and also how to identify the foods that will fuel you and provide long-lasting periods of energy. Knowing what’s good for you and what’s bad for you is a crucial step to building your own DIY Diet. You also need to know how to balance your meals and what effect different foods will have on your body. Consuming healthy sugars found in whole fruits will give you a boost, but too much of these good sugars can spike your blood sugar and lead to an energy crash or worse. Try to eat a lot of low-glycemic fruits and vegetables. Doing this will help you control your blood sugar and also plays a big part in losing weight. One of the most important things I tell my clients is to spend more time in the produce department and less time in the cereal and bread aisles. You would be surprised how many unhealthy additives are found in bread, and how many of the big seven toxins frequent your favorite cereals. If you’re looking at a food that is raw, whole, and organic, it’s probably something that’s good for you. If it’s deep fried, heavily processed, or it contains high-fructose corn syrup, I suggest you put that product back on the shelf and make a healthier choice. Knowing what to eat and where to find it is another critical step to building a healthy and customized DIY diet. There are three key components to every meal: Protein, carbohydrates, and fat. You may have been taught that fats are bad. In fact, the belief that all fats are bad is a common misconception. Healthy fats are actually an essential part of a good diet. Balancing these three macronutrients every time you have a meal will put you well on your way to a healthy and highly-effective personalized nutrition plan. You don’t need diet pills or meal delivery subscriptions to eat healthy. You can save yourself a lot of money and avoid unnecessary stress by gathering a knowledge base of what you should put in your body, what you shouldn’t, and doing your own research to customize your diet to include foods that you enjoy. For more information on eating healthy and learning to put together your own nutrition plan, get your copy of How to Live Until You Die today and discover the key ingredients to building your very own DIY diet. Do you struggle to maintain a regular exercise routine? One of the most common issues among people that I speak with is that they want to exercise, but they don’t know where to start. Most people overcomplicate things and think that if they don’t have everything planned out perfectly, they won’t see results. Planning is good and setting goals will help keep you motivated, but attempting to lay out everything step-by-step is going to drive you crazy. It’s best to keep it simple and just make sure you’re doing some form of exercise every day. The thought of joining a gym or paying for an expensive exercise program can be overwhelming. Even the thought of exercising for the first time after a long hiatus is daunting. Because of these pressures, exercise is one of those words that make people cringe when they hear it. They feel guilty for not exercising, because they know their body needs it, yet they dread the thought of trying to find an exercise plan that they can maintain. The problem with most exercise programs is that they only work when you fully commit to them. The popular programs advertised on TV feature exercise gurus and sales people going through sets of intense exercise moves and promising an extreme, positive change in your looks. They make it seem like a magical seven-minute routine that morphs you from someone who is hesitant to exercise into a physical phenomenon in less than three months. Some of the exercises in these programs are so complicated and difficult that a lot of people quit within the first week and become unmotivated to try another program. Exercise shouldn’t be a “one-size fits all” type of physical activity program, the way it’s advertised on TV. Each exercise program should be customized to your body and your health. The exercise program you do this year might not be the one that you’ll do next year, and it might be totally different from anything your friends do. The most important thing is that at any given time in your life, you’re doing the type of exercise that’s best for you. So, what exactly does that mean? How do you know what type of exercise is best for you? In my book How to Live Until You Die I cover examples of people in my own family (including myself) who all struggled with finding the right exercise for them. Depending on their health situation, work situation, and life situation, there were different things that worked. For example, some people sit in traffic for an hour commuting to work and then sit at a desk all day. There are still ways to be active even in a scenario like that. I put together five steps to helping you build your own exercise plan. Keep it simple: The best way to get started is to move more today than you did yesterday. Be consistent and only compete against yourself: Work on consistency and improvement. Do you like to run? Challenge yourself to run one mile a day for a period of time and increase the distance when you’re ready. Focus on moving more during your daily routine: Even simple activity throughout the day increases blood flow, enhances concentration, and boosts energy levels. Make sure you get up and take a five minute walk every couple of hours if you sit at a desk all day. Learn your body and what works best for you: Talk to your doctor about any health care issues you are dealing with. Think about the physical activities you enjoyed as a child. Can you turn any of these into an exercise routine? Become your own guru: Get your DNA analyzed and figure out what type of exercise will help you get the results you want Knowing your genetic makeup is a key step towards doing the type of exercise that will make you feel good all the time. And as a bonus, a sixth step (when you feel it’s the right time for you) is to consult with a professional. Hire a certified fitness coach to discuss your exercise goals and routines. They will have a vested interest in your success and will provide continuous advice and accountability. I meet virtually with my personal fitness coach Jeff McMahon every week. If you can afford to hire someone like Jeff, I highly recommend it. 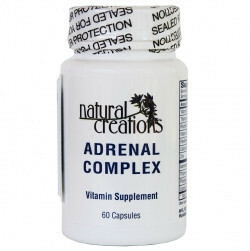 I recently did a blog post about my favorite sports supplement that gives you more power and energy for your workouts. If you are looking for a product to give you more energy and power for your workouts, then PREFITT by NutriFitt is what you are looking for! Trust me. It’s great tasting and an all around amazing product. I love it and highly recommend it! To learn more about building your own exercise plan, finding the type of exercise that you enjoy and that does wonders for your body, and to discover the seven keys to living happy, healthy, and whole, get your copy of How to Live Until You Die today. It’s Okay to Drink Tap Water, Right? The human body is the world’s most amazing machine. With more than 600 different muscles, more than 200 bones, and more than 70 organs all working in conjunction with one another each day, it’s fascinating to think about how the human body functions. And even though your body contains all of these muscles, bones, and organs, they still don’t even account for the majority of what’s inside you. The human body consists primarily of water. Drinking water throughout the day is essential for overall health. Water helps us to perform at high levels, and we need to make sure we replenish our supply each day. We literally can’t live without water. A deficit of water in your body can cause immediate and serious health problems, and if not addressed quickly, it will eventually result in death. To keep your body feeling fluid and performing at optimal levels, you should be drinking no less than one half ounce of water for every pound you weigh. For those of you who think water tastes too plain, I recommend trying The Right Cup. According to recent studies, about 75% of Americans are chronically dehydrated. The first signs of dehydration include headaches, sluggishness, and loss of appetite. Severe dehydration leads to far more serious ailments such as chronic pain, organ failure, degenerative diseases, and death. If you’re reading this and are realizing you might be dehydrated, there’s a good chance you’re thinking about going to the kitchen sink and getting a glass of tap water. Don’t. They type of water we drink is extremely important. Drinking tap water is simply not a safe way to sustain necessary levels of hydration in your body. The movie A Civil Action which dramatizes the true story of Erin Brockovich, profiles the inclusion of Chromium-6 in the tap water of more than 218 million Americans. Chromium-6 is known to be responsible for cancer, liver damage, reproductive problems, and developmental harm. You may also remember the crisis of 2014 in Flint, Michigan, when it was discovered that the tap water was contaminated with high levels of lead. We need to drink water to stay hydrated, but drinking tap water will probably do us more harm than good. So what do we do? You have a few options. Bottled water is better than tap water, and so is filtering water through either a pitcher or a device attached directly to the tap. Water filtration will remove some of the chemicals, however, it is inconsistent and the lifespan of filters can weaken their effectiveness over time.